I am NOT a seamstress, but I do enjoy sewing. Ever since Scott got me a sewing machine for my birthday, I've had several projects in the works. I've completed three of my five projects. 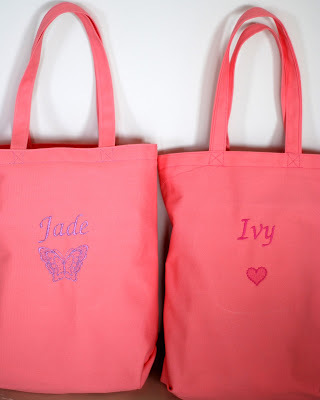 The first project to complete was church bags for the girls. Some friends of ours at church, have these cute book bags that each of their children use during the meeting. So, I decided to make some for my girls. The girls picked out the canvas. I'm not sure I would have picked out salmon if it were my choice. Then they each picked the color of thread. 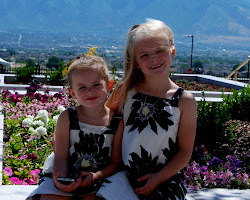 I did Ivy's first, and then when she saw Jade's she started to cry. Once she calmed down and asked nicely, I added a purple butterfly to the back of her bag. It wasn't exactly what she wanted, but it was acceptable. 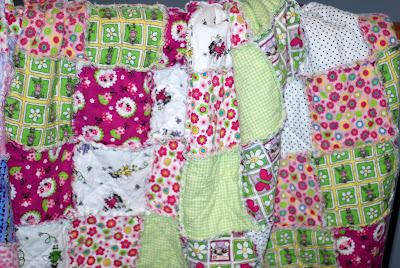 My next two projects were quilts for the girls. They were so big, they each count as one. I took the girls to the fabric store and let them pick out their flannels. After some time, I decided to have them pick out 4-5 of the 8 and I'd pick the other 3-4 to tame them down a bit. I'm sure you can guess which fabrics I picked (with my mom's help). Jade's is the top one and Ivy's is the bottom one. They absolutely love them and they are so big, several of us can cuddle under one. The other night, Scott snuggled up in one and slept through our shows. I'm currently working on another quilt for me and Scott and I recently finished cutting out one for Lisa (my cousin's wife). She was just diagnosed with breast cancer, so I'm making her with all pink prints. 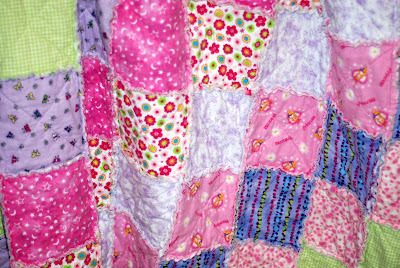 I love the bags and the quilts! You are so talented! I am looking forward to seeing you!